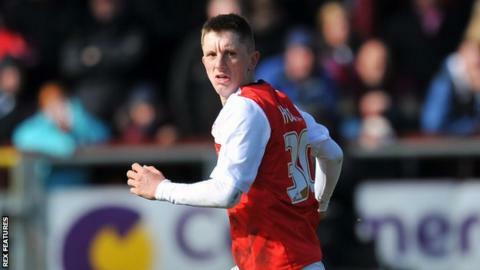 Fleetwood earned a draw at Barnsley to leave their two-leg Johnstone's Paint Trophy area final in the balance. Barnsley's Conor Hourihane went close early on, seeing his shot cleared off the line before Fleetwood's Bobby Grant missed with a curled effort . The Cod Army took the lead after goalkeeper Adam Davies could only parry Ashley Hunter's cross into his own net. But Manchester United loanee Ashley Fletcher equalised 12 minutes later, heading in from Adam Hammill's cross. The second leg will be played at Highbury on 2 February, with the winners meeting either Millwall or Oxford United in the final at Wembley on April 3.